I am a dog trainer and I am around dogs all day and one thing that I can not stand is annoying barking from my dogs or any one else’s. Teaching a dog not to bark is like teaching a kid not to play video games or to stay off MY SPACE. It is an uphill battle but it can be done. 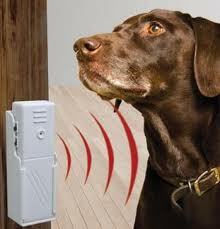 But the Bark Buster can and will stop all that barking! Order yours today. Hey, here is a gift idea. Do you have a neighbor who’s dog barks? Why don’t you order a Bark Buster for them and sneak over in the middle of the night and set it up in their backyard. Look at all the good you will do: World Peace (at least in the neighborhood) a gift for your neighbor, and a gift for you. The gift that keeps on giving!